The best (and cheapest) way to go from the airport to the Conference area is by taking the Metro. 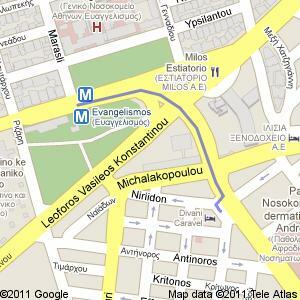 The Metro station where you get off is Evangelismos, which is only 10min walk from the Conference Hotel. In case you take a taxi, there is a fixed rate of 35 euros from the airport to Athens.